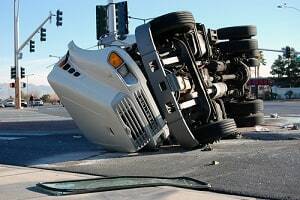 Some of the more devastating accidents occur when drivers of large commercial trucks are overly fatigued. Many times, these truck drivers are so overworked and over-exhausted from all night and all day driving that they cannot concentrate on the road or they fall asleep at the wheel. The sheer size of these vehicles alone makes the prospect of a collision incredibly scary. Heavy trucks are more complex and more dangerous than cars, so they have greater driver skill and knowledge requirements for safe operation. They are spending more time on the road than the rest of us. Federal and State governments recognized this and developed a uniform Commercial Driver Licensing system to improve highway safety and a significant regulatory system under the Department of Transportation. But drivers are extremely overworked and the restrictions on trucking companies are going the wrong way in 2017. On average, truckers clock 12-14 hour days and sometimes may even be behind the wheel for up to 18 hours straight. They only average about 5 hours of sleep per 24 hours and 1 in 4 truckers admit to having fallen asleep behind the wheel at least once. 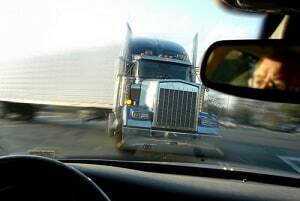 These fatigued drivers account for approximately 13% of truck-related crashes, many of which are fatal. These accidents are more dangerous for other motorists than they are for the tired truck driver. Of the approximately 5,000 people who die in accidents involving large trucks every year, only 14 percent of the deaths were occupants of the truck while 72 percent of the deaths were occupants in a different vehicle. In Maryland, Route 95 is the most prolific and most common site of fatal truck crashes. Route 83, Route 70, and Route 97 are also heavily traveled roads that make the top 100 most dangerous highways list. A Federal Highway Administration investigation into big rig truckers looked at differences associated with daytime versus nighttime driving schedules. The results were as you would expect. Nighttime drivers were the most drowsy, performed most poorly on tests, and demonstrated the poorer lane-tracking performance which is a significant cause of trucking accident deaths (we have had two pedestrian cases resolve in the last few years where a fatigued truck driver drifted off the road and killed someone. The strongest and most consistent factor influencing driver fatigue and alertness was the time of day. Drowsiness is much more of a factor during the evening until early morning. Night driving was also associated with worse performance on four important criteria: proportion of time when videotaped drivers were noticeably drowsy; average lane tracking deviation; incremental differences in test scores; and average physiologically measured total sleep obtained during the principal sleep period before a trip. The time of day was a much better indicator of decreased driving performance than hours of driving or the cumulative number of trips made. What can trucking companies do? A lot. These companies must develop programs that emphasizes the value of truck driver safety and makes drivers aware of how their personal activities on and off the job can cause real risk of injury and death not only to others but themselves. This requires the effort of education, driver work scheduling, innovative fatigue management programs, and driver screening. In the absence of direct supervision, carriers are responsible establishing protocols for ensuring driver fitness for duty. A truck driver, exhausted after an all-night shift, falls asleep at the wheel and veers into oncoming traffic, initiating a devastating collision. An exhausted truck driver fails to see a traffic signal and barrels through the intersection, t-boning a passing vehicle. A disabled vehicle on the side of the road is struck by a fatigued truck driver who drifts into the shoulder of the road. Greg is an extremely hard worker. A top driver at Davidson Trucking in Bowie, Maryland, Greg is capable of driving all night and delivering his cargo to its destination on time or even early. His company has just received word of a massive order that must be shipped and delivered cross country by the end of the work week. Greg’s boss calls Greg into his office and asks him to complete the delivery. Greg, without hesitation, accepts the request and promptly heads out onto the interstate, cargo in tow. Greg leaves at 6 p.m. He figures he may as well stay up and drive through the night since traffic will be lighter and he just drank a big cup of coffee. For the first 10 hours of his nightly trip, he is alert, awake and focused on the road ahead. But at about 4:30 a.m., his eyes start to feel extremely heavy. He knows he should stop to pull over, but he also knows how important it is to his boss to deliver the cargo on time. He decides to push on and continue to drive through the night. About an hour later, Greg starts to yawn and just for a second closes his eyes to rest them. When he reopens them, he realizes he has just been in a huge accident. After Greg fell asleep at the wheel, he drifted into an adjacent lane and sideswiped a small Jetta being driven by Meghan. Meghan’s car flips over and she sustains a severe back injury which will require surgery and physical therapy. The accident and Meghan’s injuries are the result of Greg’s negligent decision to operate his truck in spite of his extreme fatigue. California: $1,587,505 Verdict. This death action was brought by the estate of a 52-year-old man who died as a result of injuries sustained in an automobile accident, allegedly caused by the negligence of a defendant truck driver. The driver stopped his truck in the middle of the highway without activating any warning signals, causing the plaintiff to drive into the back of his truck. The plaintiff was then rear-ended by another truck. The plaintiff contended that the defendant truck driver was negligent for stopping his tractor trailer in the travel lanes of the freeway under light traffic conditions. The plaintiff theorized - successfully - that the most likely explanation for the defendant's conduct was fatigue as he had driven at least 13.75 hours during the previous 24 hour period without adequate rest, despite the State mandated 12-hour driving limit. This is the kind of evidence that is critical in establishing negligence and bringing a claim against a trucking company for something other than vicarious liability. Idaho: $900,000 Settlement. 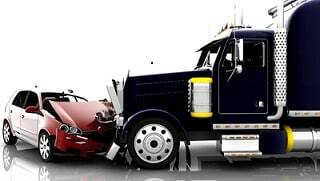 Plaintiff collided with Defendant's semi-truck at an intersection. The defendant truck driver was cited for failure to yield at a traffic signal. The defense alleged that Plaintiff was speeding and failed to maintain a proper lookout. Defense counsel makes this argument in almost every case. But they can rarely make that claim to the jury because there is so little admissible evidence of speeding. Plaintiff alleged that an examination of Defendant's driver logs and operational receipts proved driver fatigue and record falsification. There is no doubt this happens all of the time. We have seen this happen in many of these cases. New York: $675,000 Settlement. A 40-year-old female died when a disabled vehicle that was on the side of the road, and in which she was seated, was struck by a truck. The plaintiff contended that the defendant driver of the truck was driving while fatigued. The parties settled for $675,000 during the trial. Two other plaintiffs were also injured in this accident and received $350,000 plus $30,000 for loss of consortium and $75,000, respectively. Truck driver fatigue is a serious problem that can cause devastating consequences for unsuspecting motorists. The attorneys at Miller & Zois are experienced professionals who handle the most serious types of vehicle crashes, including collisions caused by tired truck drivers. Contact us to discuss your claim right away at 800-553-8082 or get a free case evaluation online.